Fiji (The World Duology, #2) is a spellbinding novel of adventure, cultural misunderstandings, religious conflict and sexual tension set in one of the most exotic and isolated places on earth. Susannah Drake, a missionary, questions her calling to spread God's Word as she's torn between her spiritual and sexual selves. As her forbidden desires intensify, she turns to the scriptures and prayer to quash the sinful thoughts - without success. Nathan Johnson arrives to trade muskets to the Fijians and immediately finds himself at odds with Susannah. She despises him for introducing the white man's weapons to the very people she is trying to convert and he pities her for her naivety. Despite their differences, there's an undeniable chemistry between them. 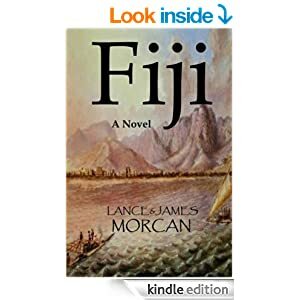 Written by father-and-son writing team Lance & James Morcan (authors of World Odyssey and The Orphan Trilogy), Fiji is an historical adventure-romance published by Sterling Gate Books. A feature film adaptation of Fiji is currently being developed. Fiji is an action-adventure set in the exotic Fiji islands in the 1800’s. The authors do an excellent job of drawing the reader into the culture of the islanders. The descriptions of their traditions and way of life are well-done and highly entertaining. There is plenty of action to keep the reader’s attention. I did feel that the writers referred to the cannibalistic ways of the “outcasts” too often. They seemed to add it for shock value, but after reading about it a few times, the impact diminished. Also, the “sexual frustration” of Susannah was overdone. However, overall, the storyline was an entertaining look at a culture very different from our modern civilizations. I would recommend it for readers looking for a fast-paced action novel with a heavy dose of romance. In TRAIL OF OBSESSION, Megan Cartwright, a successful real estate agent, is content with her work-driven life. While out running on a popular trail in Palm Beach, Florida, she is attacked and left for dead. Even though it's difficult, Megan is determined to get her life back on track. When Megan crosses paths again with Stephen Braun, the handsome Good Samaritan who helped save her, neither one of them are prepared for the intense attraction that sizzles between them. Megan finds she's been given not only a second chance at life, but a second chance at love. With Stephen's charm, patience, and support, he convinces the slow to trust Megan to take a risk on love again. As their relationship grows, neither one realizes that danger lurks around the corner. As a killer closes in on Megan as a target, Megan finds herself on borrowed time once again. 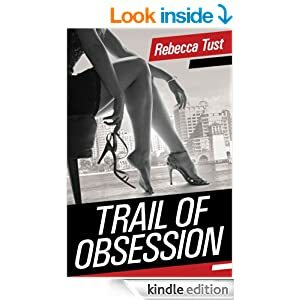 TRAIL OF OBSESSION is a contemporary romance with suspenseful elements, believable, empathetic characters, and enough steamy romance to keep you turning the pages for more. This book can be read as a stand-alone. TRAIL OF OBSESSION starts off with the brutal attack of real estate agent Megan Cartwright. She survives the attack, but sustains multiple injuries. The author does a good job of starting the book off with enough suspense to gain your interest. The character development is also well done. Megan is a strong, likable person who you want to root for. Stephen, the male lead, is also someone who you would like to get to know. Overall, I thought the plot was well laid out and there were enough twists to keep the reader’s interest. However, it also fairly formulaic. Girl gets attacked, boy rescues girl, and love blossoms. With that said, I would still recommend it if you are a fan of romantic suspense novels. 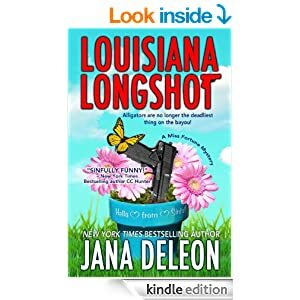 “Louisiana Longshot” is a well-written mystery with a large dose of humor. The story is full of fun and interesting characters. First, there is Fortune, a CIA assassin who goes into hiding by posing as a beauty queen in a small Louisiana town. Next, there are the women of the Sinful Ladies Society. These grey haired women rule the small town of Sinful, and provide a lot of laughs throughout the book. 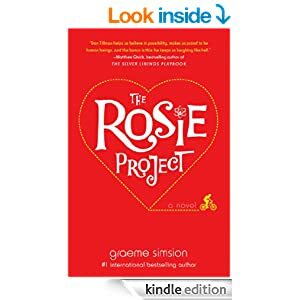 The Rosie Project is a fun, quirky romantic comedy about Don Tillman, a college professor, who decides it is time to find a wife. He deduces that finding the perfect mate would best be achieved by using a scientific approach, so he develops a questionnaire aimed at weeding out all the women who would be unsuitable. When Rosie, a young, attractive, but totally unsuitable woman comes into his life, he is forced to rethink the way he sees the world. The author does a terrific job of developing Don’s character. You find yourself rooting for him to open up his eyes and see what’s right in front of him. This is a fast, easy read that is highly entertaining. 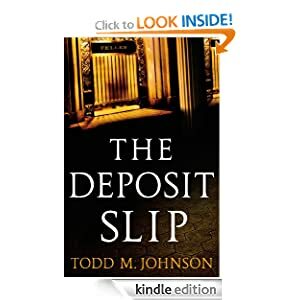 “The Deposit Slip” is a legal mystery that centers around down on his luck attorney Jared Neaton. He’s given the opportunity to take a case that could turn everything around. The story is well-paced with interesting characters. There are several layers to the plot that help add depth. The ten million dollar mystery is well thought out and believable. There is even a pretty good plot twist thrown in at the end. I would recommend this book to people who enjoy legal mysteries. “Karmack” is an amusing middle-grade story about a bully who learns a valuable lesson about what it truly means to be a leader. 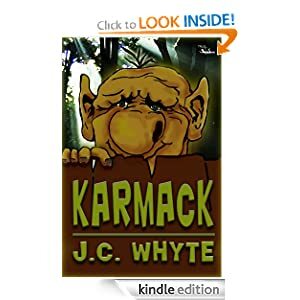 Author, Whyte, creates a very likeable character in Karmack. His dialogue is funny and kids will enjoy reading about the creative ways he “balances” the “bad tricks” the bullies pull on their classmates. This story has a quick pace that will keep young readers interested until the very end. I highly recommend it for readers ages 8-12. 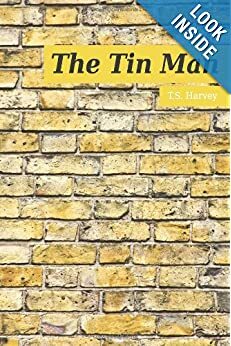 “The Tin Man” is a story of triumph in the face of adversity. It follows the life of a little boy, Michael, who must grow up way too fast. This is a well-written fast paced story told in the first person. The author does a good job of bringing us into Michael’s world and taking us through the emotions that he feels as he faces life’s challenges. This book is a reminder that “families” come in all shapes and sizes and how important having the loving support of people who care about you can be, even if those people are not tied to you by blood. I did feel that there were some twists in the book that were a little forced, but overall, I enjoyed it and would recommend it. “Pelican Bay” is an intriguing mystery surrounding a very old man who lives in the coastal town of Pelican Bay. The man has lived there for as long as anyone can remember and no one knows exactly how old he is. The story is beautifully written. The author definitely has a command of the English language. However, I felt as if there were places where the emotional responses to events that take place were a little over done. It lessened the emotional impact of the more dramatic parts of the story. I also thought that the author overused metaphors in his descriptions. Overall, I enjoyed the story and it kept my interest. “Gray Justice” is a fast-paced action novel that has several unexpected plot twists. The author does a great job of describing the action sequences. There are enough layers to the story to keep it interesting. I felt that the author could have done a better job with character development. I also thought there were some sequences where the story got a little bogged down. However, overall, I enjoyed the book and would recommend it for anyone who likes a lot of action with a surprise ending. Jet is a well-written action-packed thrill ride. Author, Blake, does an exceptional job of pulling the reader into the action from the very beginning of the book and it never slows down. The protagonist is a tough ex-Mossad operative. She is lethal and dangerous. However, she is also very human with all the same wants and desires to be happy as anyone else. The bad guys are truly reprehensible. The reader will definitely know who to root for. I thoroughly enjoyed Jet and look forward to reading more from Russell Blake. H. L. LeRoy offers this collection of short stories that are "...sometimes funny, sometimes disconcerting, sometimes plain terrifying." Mistake Proof - Petty criminal Howard Dellicott owes the mob a lot of money. His solution is to help a buddy rob a bank. Unfortunately, nothing ever goes right for Howard. Rare Justice - Private Investigator Jillian Varela tries to solve a pro bono, murdered-child cold case, with a potentially dying client. Unfortunately, it doesn't look like it's going to end well. Hollywood Hitman - Spend time with the beautiful people, where an enterprising hit man takes care of a Hollywood couple's marital problems with a unique and permanent solution. The Game's End - Return to Jillian Varela's world, as she races to save the life of a naïve heiress arrested for murder. These are four "excellently written, well-paced, suspenseful and entertaining stories,"perfect if you like action-packed suspense. Street Crimes is a collection of 4 short stories. Each tale is told in the first person, which provides good insight into the motivations of the main characters. These stories are fast-paced and well-written. Each one has its own set of twists and turns that are sometimes humorous and sometimes horrifying. I enjoyed meeting the tough female PI, Jillian Varela, who is the main character in two of the stories. I highly recommend this collection to anyone who enjoys a suspenseful tale that will keep you guessing until the very end. A day at the zoo is not complete without visiting the dinosaurs, right? Boys and girls will delight in this fast-paced rhyming adventure chock-full of hilarious questions from a very persistent young visitor at the zoo. “What do dinos find in shops? The laughs keep coming in this charming adventure full of dino-mite humor and fun. It's the perfect good time read that kids will enjoy reading over and over again. Where Are the Dinos? is a beautifully illustrated rhyming book. It is fun and will capture the imagination of young readers. The illustrations are bright and provide an excellent companion to the witty story. I highly recommend this book for elementary age kids. 8-year-old Megan wants a dog more than anything, although she loves playing with her teacher Mrs. White's dog as well. But when Mrs. White's dog dies suddenly, Megan (and Mrs. White!) fear they'll never be happy again. It takes a lesson from an Old Testament character named Naaman and his servant girl to give Megan a few ideas on how to create a happy ending for her teacher and herself. "A Dog Called Naaman" is a chapter book on the reading level of Junie B. Jones or Magic Treehouse books. It features a Christian perspective. Megan is a witty, gentle, and caring heroine children will relate to. Perfect for ages 6 to 9. A Dog Called Naaman is a sweet story about a little girl named Megan who longs for her own dog. One day her teacher brings her Corgi into the classroom for a visit. The visit only intensifies Megan’s desire to have her own dog. Megan hears the story of Naaman and his servant and decides to try to apply it to her own life. The author does a good job of bringing Christian values into the story without it being too forceful. The story is well-written and enjoyable. It is a short chapter book that will keep the attention of early readers. I highly recommend it for ages 6-9. An Innocent Client is a fast-paced legal thriller. Joe Dillard is a criminal defense attorney who’s grown tired of defending guilty clients. He longs for the chance to defend someone who he actually believes is innocent. Joe Dillard is a very likable character who’s honest, hard-working, and loves his family. The story grabbed my attention from the first chapter and kept it until the very end. I highly recommend it. "The child must leave ... immediately ... take the sword ... to the Keepers ... there’s a diamond coming..."
A murdered man's last words, a four-bladed dagger set with a huge diamond, and a hidden sword launch Kyth, his brother Alder, and their friend Ellah on a perilous journey from their home in the Forestlands to the White Citadel, hidden in the distant mountains. Pursued by Knights of the Holy Star and a Majat Assassin, they are joined by Kara, a young mercenary whose fighting skills help save the three teens from their deadly enemies. The First Sword is a well-written fantasy novel that centers around a trio of teenagers sent on an important quest. On their journey, they face many obstacles and witness some amazing sights. The author provides vivid descriptions that transport the reader into this fantasy world. The characters are likable and the author does an excellent job of providing them with depth. The story is well crafted and has enough mystery and adventure to keep the reader’s interested until the very end. It is billed as an adult novel. However, I feel it will be better received by readers in their late teens. In a lonely lot at the end of a forgotten road sits a building, a place of secrets and unimaginable horrors. Wendell Mackey has just escaped from it, where he had been imprisoned against his will. But after his escape, Wendell begins to change. The old Wendell is dying, but something new is being born, something uncontrollable and terrifying. The men in that building planted in him a seed that is beginning to grow, and when they come to find him, Wendell isn't sure what will be there to greet them. Pursued by his former captors, threatened by the dregs of a city imploding from within, watching his body melt into something monstrous, Wendell sees little chance of escape, until he meets one person, an old woman, who may be the last ray of hope in his brutal and dark life. What follows is a journey into fanaticism, deception and violence. The horrors of science run amok blend with the surreal and nightmarish, creating a story that forces you to question reality and the foundations of human nature. The Death of Wendell Mackey will stay with you long after the story ends. The Death of Wendell Mackey grabs your attention from the first page. The author uses excellent descriptive prose to draw you into the dark and brutal world of the main character, Wendell Mackey. The author does a great job keeping the reader guessing as to what is real and what is only part of Wendell’s delusions. You feel Wendell’s torment as he transforms into something horrifying. There are parts within the story that get bogged down and some of the flashbacks are hard to follow. However, overall, the story is fascinating and will keep you guessing until the very end. Rather than turn her in to the law (or into something else), the young sorcerer offers Ganfrey a deal - steal a portrait from the palace for him. Growing Disenchantments is a humorous young adult fantasy. The story centers on a young sorcerer. Rogannard, who has been working toward one goal, to find an amulet purported to hold great magical powers. There’s one problem, the amulet is trapped in a portrait along with its original owner. The story mixes a fair amount of humor around the action and adventure. Some of the humorous moments were too forced causing an interruption in the flow of the story. There were also passages that seemed redundant and could have been trimmed down. However, the overall story is light-hearted and fun and will be sure to keep the attention of the young audience it is intended for. A contemporary mystery and thriller - a paranormal mystery, to be more precise - its surreal twists and turns will keep you guessing . . . Dark Side of Sunset Point is a suspense thriller with some paranormal elements. The lead character, Lance Underphal, is not your typical leading man. He’s a middle-aged, overweight, slob who is being visited by images of violence and the voice of his dead wife. The story has plenty of action and plot twists to keep the reader interested. Author Michael Allen Scott does an excellent job of setting up the scenes and drawing us into the images that flash through Underphal’s mind. The story is well thought out and the mystery is intriguing. However, there are several instances throughout the book where the story jumps from past events to present events without any warning. I think these transitions could have been smoother and would have allowed the story to flow better. Overall, I recommend it as an entertaining thriller. To her surprise, Rebecca finds herself back at school in the summer holidays with her friends - helping at Trebizon's summer camp for city children. She and Elf are put in charge of little Tommy Carter, the worst behaved kid on the camp. He's soon getting himself - and them - into big trouble when he decides to interfere with an important dig for Roman coins in Mulberry Cove. The seventh title in the series that follows Rebecca Mason's progress at a famous English boarding school. Summer Camp at Trebizon is a fun, easy read. It follows the summer camp adventures of a group of boarding school girls. The story flow very well and there is enough intrigue to keep young readers’ attention. I recommend this book for middle-graders who are looking for a series to follow. During World War II around three and a half million British people were evacuated away from possible air raids in the big cities in one of the largest social upheavals Great Britain has ever seen. The Government evacuation program was named Operation Pied Piper. Many of the evacuees were children. Journeys from the cities were long and tiring and the evacuees did not know where they were going. They were often dropped off in groups and gathered in a local village hall or school to be 'chosen' by the prospective foster parents. One of those children was Ray Evans whose family was transported from Liverpool to a small town in Wales called Llanelli. In "Before the Last All Clear", Evans tells a harrowing tale of leaving his mother and being forced to live with families who at best regarded him as a nuisance and, at worst, exploited him. Evans account takes a happy turn when he is billeted to a family who make him so welcome that he is reluctant to leave them at the end of the war. Written in a simple, direct style "Before the Last All Clear" depicts a world far removed from the glamour and sophistication of the twenty-first century. Before the Last All Clear is a poignant look at a terrible time in the world’s history through the eyes of an innocent child. Mr. Evans’ retelling of the events of his life as an evacuee during WWII provides a vivid reminder of the horrors of war and the victims that are sometimes forgotten; the children of the fighting nations. Mr. Evans’ writing style is simple and straightforward making this a quick read. There were a few places where the author digresses and causes a break in the flow of the story. However, overall it well done and I would recommend it to readers who enjoy historical books, especially WWII memoirs. More Precious Than Rubies is a middle-grade fantasy that centers around an 8th grader named Paul. Coming back from summer break, the middle school is surprised by the appearance of a new principal, Mr. Theisen. Paul and his best friend, Chad, know immediately that there is something not quite right about Mr. Theisen. Author, Randy Coates, builds a strong story where you find yourself rooting for the good guys to come out victorious. The book moves quickly and will keep the interest of young readers who enjoy a good mystery. American archeologist Dr. Cliff Post and his friend Egyptian archeologist Dr. Abdul Saad discover a hidden chamber in the right paw of the Great Sphinx. Inside they find an ancient supercomputer left there thousands of years ago by ancient aliens. A terrorist group seeks to obtain possession of this supercomputer. The Hidden Chamber in the Great Sphinx is the first in a series featuring the adventures of American archeologist, Dr. Cliff Post. Be sure to read the second in the series, The Underwater Pyramid in the Bermuda Triangle. The Hidden Chamber in the Great Sphinx follows Dr. Cliff Post as he travels to Egypt when a hidden compartment is discovered in the Great Sphinx. The author does a good job of explaining some of the history, myth, and legend that surrounds the Egyptian pyramids and the Great Sphinx. When the author describes the factual information in the book, the writing style flows well. However, the fictional storyline becomes clipped and the conversations stilted. Also, there were some big leaps in the story that could have used more lead up. Teens reading this book will enjoy the historical aspect. However, I think that just as I did, they will wish for more depth to the story. Will Sandy find love and become Arkrealm’s first human apprentice— or will her alliance with Arkrealm destroy her?" Arkrealm: The Apprentice is a fantasy adventure about a teenager chosen to be the first human apprentice in the Arkrealm. Author Dee Rayson has created a cool cast of characters that teenage readers will find very appealing. In addition, she does a good job of describing the Arkrealm and drawing us into this secret society of superheroes. However, I felt like the “save the environment” theme could have been toned down as it tended to distract from the action adventure taking place in the story. Overall, this was a well written story that teenagers will find fun to read. What kind of Christmas Carols do church mice sing? You might be surprised. Mrs. Middlejoy is getting ready for Christmas in her cozy mouse house behind the walls of the church Lost and Found Closet. But fear strikes her church mouse community when a big, gray Cat moves in to the Minister’s study. Mrs. Middlejoy is godmother to six mice about to see their first Christmas. And she is determined that fear is NOT part of the Christmas spirit. Rejoice with Father Churchmouse, tremble with Mrs. Turnwell, and cheer with little Chester as the brave Mrs. Middlejoy takes on the Minister’s Cat. A little faith and a lot of love make this short chapter book a family favorite for the Christmas season. Mrs. Middlejoy and the Minister’s Cat is a fun, easy to read, Christmas story. Mrs. Middlejoy is a mouse who lives in a church with her fellow mice friends. They are living a simple and happy life until the day the church sexton brings the minister a new cat. Author Susan Hutchison weaves a charming tale of friendship and bravery wrapped up in a cozy Christmas bow. I highly recommend this fun little story for reading aloud in front of the Christmas tree! This book appeals to all ages from 9 upwards and is perfect for either home or school. The fast-moving, action-packed story is enlivened with 38 funny illustrations by artist John Richardson, a former contributor to the iconic UK comic strip, Desperate Dan. "If anybody asks 'What was a chicken run? ', I shall burst my gizzard," says Homer, the bespectacled one. "You really ought to know a bit of ancient history by now!" Some of her fellow inmates just can't grasp the concept. Inside their cages they squawk in disbelief. "But then," concedes Captain Curly, "who can say that grass and sky and sun and rain did not exist, may even now still exist, somewhere outside this prison camp? Behind all legend lies reality." Escape From Cold Ditch is the story of Fleur, a chicken with advanced intelligence. She is recruited to become a “special agent” by an unseen entity. Her mission is to free the chickens being forced to live in a battery farm near her free range farm. The story is an allegorical look at the differences between freedom and oppression. Alan Davidson uses humor to illustrate an important lesson. Escape From Cold Ditch manages to be entertaining while at the same time driving home an important message. Have you ever wanted something you couldn't have? Lionel, the loveable bully-magnet, desperately wants a new sled and will do anything to get it.This fun Christmas book follows Lionel from Larrystown to the North Pole. His magical Three-Toed-Potbellied Walbaun foot is back and is as unpredictable as ever. Whether Lionel's sledding, ice skating, or in a life-sized gingerbread village, it takes him on some grand adventures. Filled with great Christmas imagery, this book is perfect for young readers and family story time. This 2012 holiday, be careful what you wish for, you never know what might happen! If you want to learn more about Lionel, make sure to pick up Lionel's Christmas Adventure: Lionel Learns the True Meaning of Christmas, available now on Amazon. Also check out the first two books in the Lionel's Grand Adventure series: Lionel and the Golden Rule and Lionel Turns the Other Cheek. Lionel’s Christmas Adventure is a charming story that follows Lionel Snodgrass, a 12-year old boy, as he is given a gentle reminder about the true meaning of Christmas. Author, Paul R Hewlett, uses humor to deliver an important message. The story flows along very quickly and will provide an entertaining Christmas story for young readers to enjoy. "Sorcerer’s Duel" is a full length novel of approximately 112,000 words, and is book two in the Epic Science Fiction Fantasy Adventure series "The Guardians". The Sorcerer’s Duel is the second book in The Guardian series. Author WH Cann builds on the first novel, Path to Vengeance, to draw the reader into this fantasy world. The story flows through several high octane adventures. The relationship between Grogann and Ellarna is emotionally intense. Just like the first book in the series, I felt like this one could have been streamlined to move at a quicker pace. However, the pace does pick up in the last 1/3 of the book. Overall, The Sorcerer’s Duel was a fun read. I recommend it for readers looking for an enjoyable fantasy adventure. The Legend of Finndragon’s Curse is a fantasy adventure centered around three children who must travel to a cursed land in order to save their father. The author, Richie Earl, spins a tale that combines both the modern world and a world 1500 years in the past. The characters are very likeable and believable. I thought that the animal’s ability to communicate with humans added an interesting twist to the story. However, there were several plot advances that were a little too basic for older readers. With that being said, young readers will find the story interesting and fun. Harmattan (from an Arabic word meaning destructive wind ) tells the story of Haoua, a young girl growing up in a remote village in the Republic of Niger. Spirited independent and intelligent, Haoua has benefitted from a stable home life and a loving and attentive mother. She enjoys working and playing with her siblings and friends. Haoua worships her elder brother, Abdelkrim, a serving soldier who sends money home to support the family. But, on his last home visit, Abdelkrim quarrels with their father accusing him of gambling away the money he sends and being the cause of their mother s worsening health. It also emerges that their father plans to take a second wife. Despite this Haoua finds contentment in her schoolwork, her dreams of becoming a teacher and in writing assiduously to the family in Ireland who act as her aid sponsors. But for Haoua, there are new storm clouds on the horizon. As civil strife mounts in Niger, Haoua begins to fear for Abdelkrim s safety. Haoua s mother s illness is much more serious and further advanced than anyone had recognized and her father s plans are turning out to be far more threatening than she could have ever imagined. Approaching her twelfth birthday, Haoua is alone and vulnerable for the very first time in her life. Harmattan is an emotional and eye-opening look at a culture so different from our own. Author, Gavin Weston, does a great job providing a vivid description of the living conditions found in many areas of Africa. The story is told through the eyes of Haoua, a young girl, living in the village of Wadata in the Republic of Niger. Weston brings you into Haoua’s world where she faces poverty, sickness, and oppression. Through letters written to Haoua from her aid sponsors in Ireland, Weston provides the reader with an illustration of what it means to grow up in such dramatically different cultures. Harmattan is a moving experience that will give you a greater appreciation for the privileges of education and equality that women have in our culture. Bertha Maude Anderson has no inkling of how famous she will become. She lives in the Appalachian Mountains of North Carolina in the year 1843. Her world changes forever when she is enticed to join The Romanoff Brothers Circus and her name is changed to Inzared, Queen of the Elephant Riders. Inzared discovers her true calling while learning to live with the nomadic Gypsies. From the hatred shown by some of the performers to the love she finds along the way, Inzared finds herself immersed in the rich folklore and customs of the misunderstood people who call the circus their home. Her one constant is Cecil, the elephant, and together they form a bond that no one can break as Inzared finds herself lured into the world of the Gypsies while clinging to her own roots and trying to break free of the chains that keep her from her destiny. Inzared, Queen of the Elephant Riders is a charming story of a girl who does what many of us have dreamed of doing; she runs away with the circus. The story is told through the eyes of the main character, Bertha. L. Leander does an excellent job of developing the colorful gypsy characters. She paints a vivid picture of what life under the big top was like for circus performers in the 1840s. The romance between Bertha and Paytre, the elephant trainer, is sweet and romantic. There were some repetitive sections through the middle of the story that slowed down its flow. In addition, Bertha’s speech varied between an uneducated girl from the mountains, and an educated city girl. Also, the ending was wrapped up too quickly. Overall, this is an entertaining look at a different way of life. ‘Path to Vengeance’ is a well-written story with a lot of aerial combat sequences. Cann does a good job of developing the characters. As a reader, you understand what motivates Grogaan, and why his friends are so loyal to him. Some of the sections in the middle of the story got a little bogged down, but overall it flowed very well. The story is a mixture of science fiction and fantasy. I would recommend this book to readers who enjoy this genre. In California at the turn of the century, teenager Risa and her baby brother left their insulated Jewish town, choosing East to walk toward a new, free life. Together, they endured physical hardships and new challenges to fight for their new lives in the emerging Nevada frontier. The hardwon successes are tempered with tragedies, but both ultimately find their places in the sun. ‘Cowgirl’ by Java Davis is the story of one woman’s journey through a difficult life. The journey begins with Risa, age 14, and her little brother, Yani, age 11, leaving their home in California to walk on foot to Nevada. The story starts out very sluggish. There was so much that could have been done with this time in their lives, but the author chose to pass through this phase very quickly. To be honest, if I had not been reviewing the book, I would have stopped reading it after the first chapter. I did not feel drawn to the characters. In fact, I disliked both of them. However, as the story progressed I began to feel sympathetic toward Risa enough to hope that her life would take a pleasant turn, and she would ultimately find happiness. Overall, the book had enough good moments to make it worth the read. Impossible Bonnie Wyndham, expelled from her last three schools, knows she's only been accepted at sports-mad Almonside because she's a superb rider. She doesn't intend to stay long. Just long enough to prove she's the best. But equally Ruth Caradon, her tough, soft-spoken riding instructor, doesn't intend to let Bonnie get the better of her and queen it around Almonside. Or -- is their conflict about something different altogether? A riveting study of a power struggle, with a nail-biting show jumping background, from the author of The Bewitching of Alison Allbright. Queen Rider by Alan Davidson is a well-written middle-grader. Davidson does a good job of developing the main character, Bonnie Wyndham. Bonnie is a trouble-making teenager who is sent to a boarding school that has an elite jumping club. As I got to know Bonnie, I was curious to find out what caused her self-destructive behavior. However, I was a little disappointed when the cause of her behavior was revealed. I thought this part of the story could have been written with more depth. I felt that Queen Rider had a lot of potential to be a deeply emotional story, but was disappointed when it fell flat. Young readers who like horses will enjoy reading this book. However, I am not sure that it will appeal to a larger audience. Sam Kullen is a Dreamer. Every night he dreams, and he lives in each one. Together, the Dreamers must stop Malfix from taking over the Dream Realm, and earth itself. The Dreamers also have the ability to control events on earth through their dreams. Sam and the Dreamers must prevent Malfix from controlling things... for the worse. “The Dreamers” written by young author, Oliver Dahl, is a clever and entertaining story. It centers around Sam Kullen, a middle-school boy, who discovers that he is part of an elite group of people called The Dreamers. Dahl uses vivid imagery to draw us into the Dream Realm, a place where the Dreamers go when they sleep. The story is fast paced and keeps the reader’s attention throughout. However, there were some holes in the plot and a few places where the dialogue could have been improved. Additionally, it could have used a few more edits. With that said, this young author did a great job with his first novel. I believe middle-grade readers will enjoy this action-packed adventure. FTC disclaimer: All books reviewed by Tinerbooks have been given to us free of charge by the publisher/author for the purpose of review. We do not receive compensation for the review. All reviews contain our honest opinions. We do participate in the Amazon Affiliate program. Therefore, if a book is purchased through the link on our site, we will receive a small referral fee from Amazon.